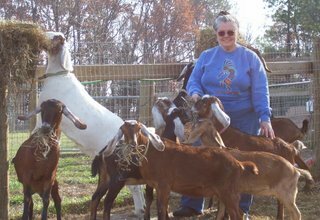 If you’re interested in exploring the benefits of goat milk soap, then this site is for you. We created Gran’ Nanny’s Goat Milk Soaps, Inc. so we could make this incredible soap! It’s healthful, it’s soothing, it’s healing, and with extended use, it makes your skin feel soft and creamy smooth.Join us as we discuss the benefits of goat milk soap and as we explore its possibilities. As I, Gran Nanny, discover more benefits though my research, I’ll share them with you.So, if you or a loved one has an annoying skin condition that needs soothing, if you want to learn more about soaps and their benefits, or if you just want to pamper yourself, join us and we’ll share our knowledge and experiences with you. Please join us in sharing information. After all, our ultimate goal is to benefit from this fabulous soap.One important thing you should know, we use milk from our own Purebred Nubian Goat Herd. This way we know the milk quality and goat health. We’ll share our experiences with the goats, too.